Discover the power of emotional satisfaction: DOMINATE YOUR LIFE, CAREER, AND RELATIONSHIPS. Strong, successful, accomplished: you are all of these things. But maybe something else is faltering in your life. Despite the victories you have achieved, are you motivated to reach deeper emotional satisfaction, true happiness? 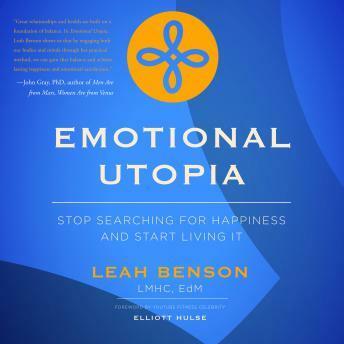 In Emotional Utopia, Leah Benson reveals the proven method that will help you reach that next level of success and achieve real results, authentic and energizing happiness that will transfer to all realms of your life. Don t settle for a subpar emotional state . . . toss old ideas of "therapy" aside and take control of your happiness.